Enterprise Gamification Case Study, HR Employee Engagement Training Case Study. 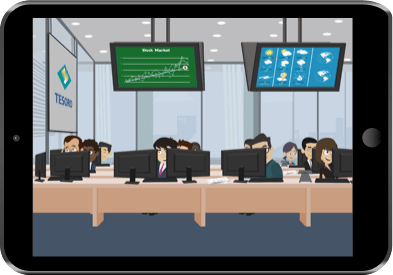 When Tesoro, a Fortune 100, oil and refinery company, wanted to build a serious game for recruitment and employee training, we leveraged our deep expertise in enterprise gamification to deliver a powerful & engaging HR solution. 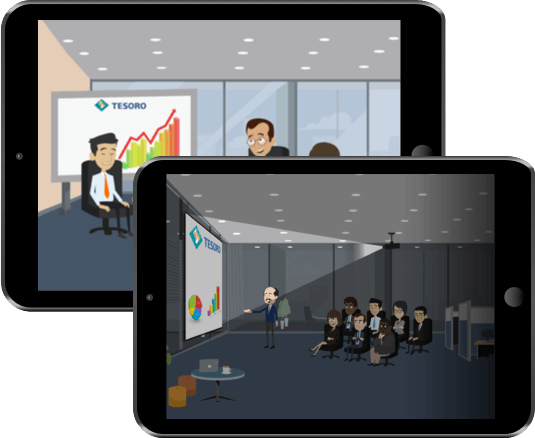 Here's how we helped Tesoro leverage enterprise gamification to create a more engaged workforce impacting business outcomes. Tesoro, a Fortune 100 oil and refinery company, partnered with [x]cube LABS to build a serious game that would simulate their day-to-day operations and make it easier for schoolers, job aspirants and employees, to understand the oil refining process. Leveraging our deep expertise in enterprise gamification space, we laid out the strategy for a game that not only makes understanding a process, as complex as oil refining simple and fun, but also delivers a highly effective HR solution for recruitment & employee training. The Tesoro Induction game is a simulation game, where players (both grade school and college graduates) manage a virtual refining & marketing company. It takes the gamer through the entire oil refining and marketing process, roles of various stakeholders and what it takes for them to be a part of the industry. Players will be able to see the big picture view as well as interact with various units of a refining & marketing company. The goal of the game is to promote understanding of user roles in different work setting, inform about the responsibilities using various events, and generate excitement about the overall process. The game also enables deeper engagement, e.g. trying to increase efficiency and safety ratings in a workflow designed to simulate real world scenarios, as they play and interact with the game. We developed 3 versions of the game. Version 1( For Kids): This version is for kids who visit the industry to know about oil refining. The process is explained in the game, is easy for the kids to understand what Tesoro does. Version 2 (Recruiting Version): This version assesses the skills of an aspirant on managing resources, safety measures and efficiency. The final score would help Tesoro take recruitment decisions on candidates. Version 3 (Employee Version): This is targeted towards employees of the company and help them train in real world scenarios. 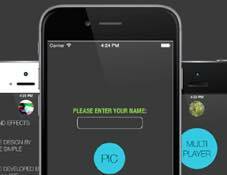 During the game, users will gain points by taking quick actions for alerts and maintaining equipment. i.e. - Users will gain points on efficiency and safety ratings, lower ratings equal fewer points while higher ratings equal more points. Users will also earn points for successful deliveries, each time new suppliers or customers are added. The gamers are penalized, when vehicles and aircrafts (customers) run out of fuel. At the end of the game, other bonus score elements are added to make the final score. Following are some of the high-level features within the game. Interactive Map: The main game interface is shown as an interactive map, showcasing the major elements of Tesoro’s downstream functions. Interactive Hotspots: Certain elements of the map can be triggered by touch. This will create different results depending on the element. Some may open up to reveal further elements such as workspaces, characters, and controls. Randomized Alerts: As the game progresses, issues may arise. Whether by chance or as a result of player’s actions, these alerts serve to help players understand the importance of an element and its functions. Complexity Filter: The game can be toggled for use by either grade school children (10-12) or college graduates, with varying levels of complexity to accommodate either audience. Email Scores: The app will email the list of scores and the associated names to the email provided by the user in the prompt. We knew from the beginning, that getting the gamification level right for each target group would be key to the success of the game. Our experience suggest that many enterprise grade training solutions are quickly abandoned by users due to lack of playfulness and engagement. However, Tesoro wanted to keep the interface of the game unchanged while creating different gameplays for each versions. The game was targeted towards three age groups- schoolers, job aspirants and employees, so it was challenging to develop a game which is simple for schooler to play & learn but at the sametime is equally stimulating for an adult to play and be engaged. 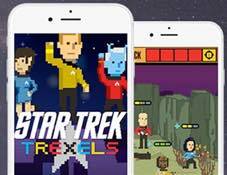 We leveraged our deep expertise in mobile gaming and understanding of mobile gamers to deliver with a game that scores high on ease and engagement without compromising on learning. The game will be required to run on multiple handheld touchscreen devices, with larger screen, displaying the leaderboard. The idea is to drive some competition between the various universities by displaying the score and the university on a large monitor during career fairs. It required us to facilitate compiling data from multiple devices and display the leaderboard on a central screen via internet. Our mobile game development team pulled its experience developing IoT solutions to facilitate communication between mobile devices and the score display. 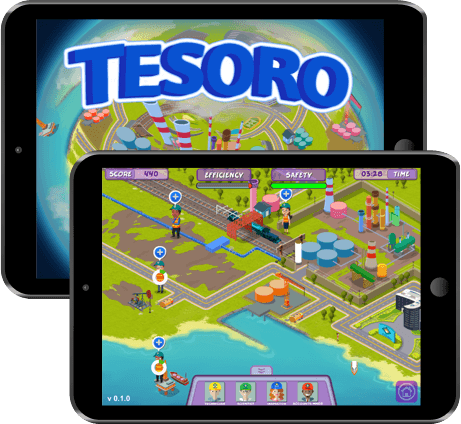 The Tesoro Refinery Sandbox Game is delivering high engagement scores across its target groups. The game is helping Tesoro to comprehensively assess skillset of the job aspirants and help them find high quality talent. The game is also helping the company get optimized value from its training programs with employees reporting higher retention scores. 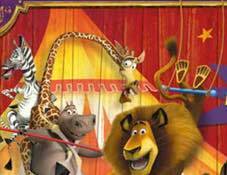 Join The Circus In Style!